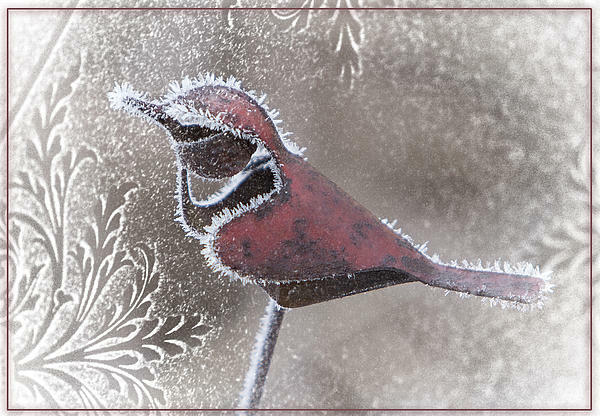 "Frosty Cardinal" by Patti Deters. Red metal, and slightly rusted, cardinal. 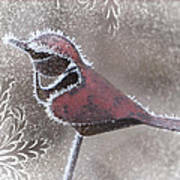 Photograph taken in the winter showing hoar frost around the edges, and with cold leaf designs in frost on the window overlay. Would make a very pretty Christmas card! 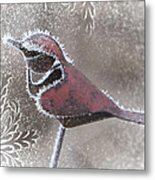 Please enjoy more of my (avian and more!) images at http://patti-deters.pixels.com.